With school in session for some and coming soon for the rest, I’ve been on a big back-to-school kick! Plus, I just love walking the school supply aisles. 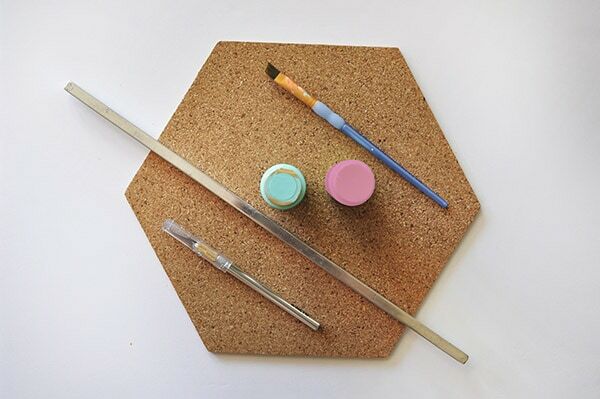 A few weeks ago, I was at Target and found a package of hexagon cork board and I swear it jump right into my cart. 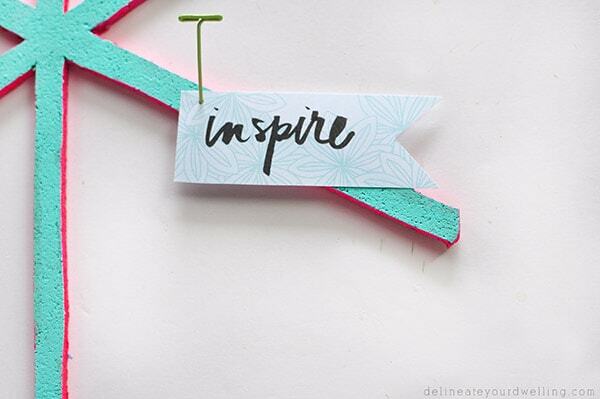 Today I am sharing how that hexagon cork board transformed into my Creative Asterisk Cork Board. 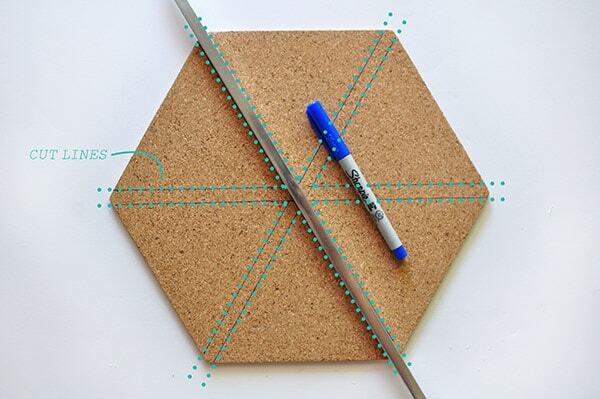 Using the ruler, mark your cut lines at each point of the *hexagon. Then, very carefully (please watch those fingers!) 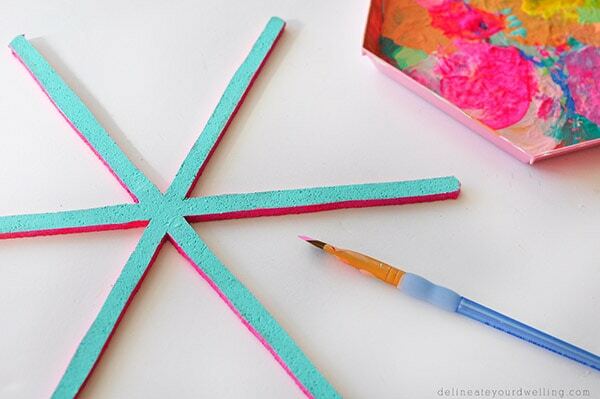 follow your lines with an x.acto knife. 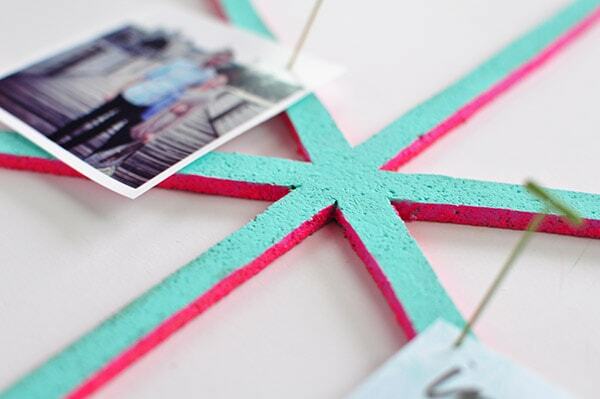 Then, apply two coats of your favorite colored acrylic paint. I choose to do a bright pink on the sides and a aqua on the top. I love the cheerful contrast of color. 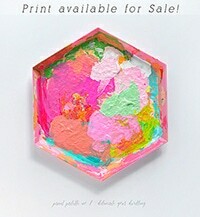 And it would look lovely on your wall even without notes and pictures pinned to it. I only made one of these, but how fun would a few different colors and sizes be all grouped together on a wall? 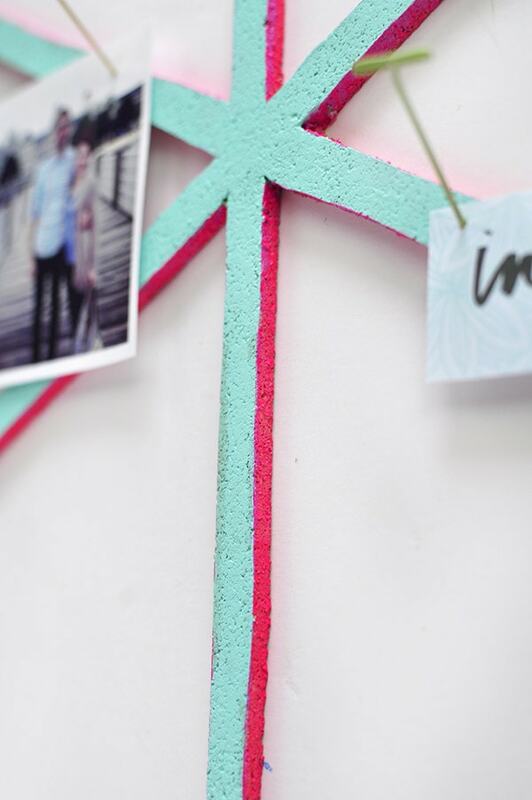 I think I have a fun weekend DIY coming up! 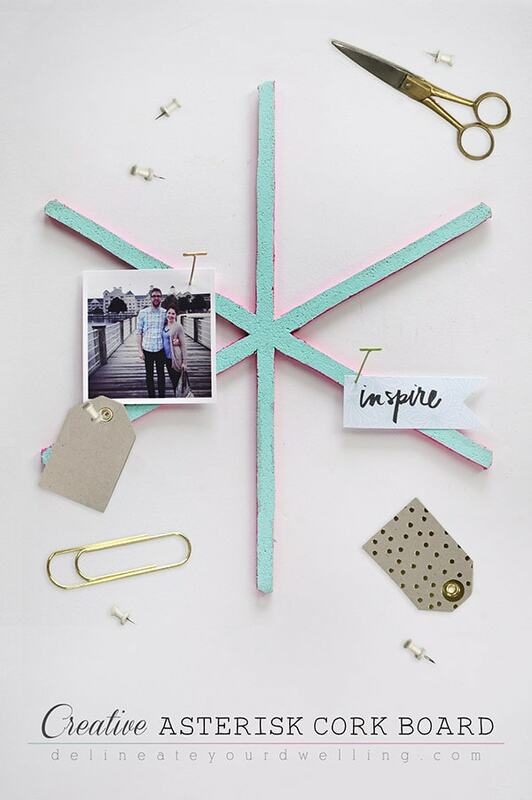 And I made THIS awesome cork board project from the cutout pieces of this project! 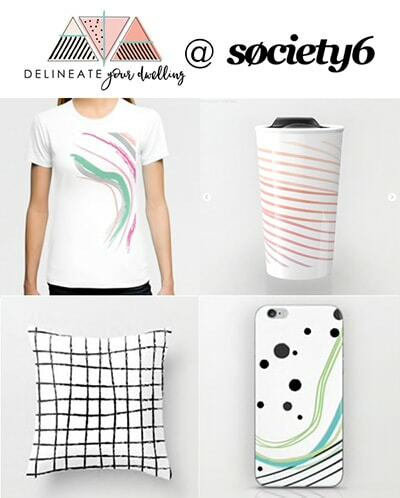 Head over to check it out. This is so cute! I love this idea! Thanks Alexis. I’ve got another post coming next week that was the prequel project, so stay tuned! Ha.